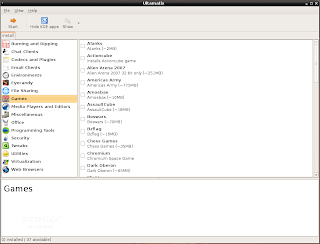 Ultamatix: The New Automatix - Brings dozens of games for Ubuntu users! 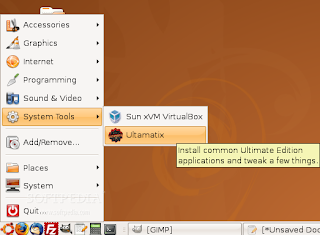 I guess all Linux users, especially Ubuntu ones, have used or at least heard about Automatix, an application that can install and uninstall the most used and popular programs. From multimedia codecs and archiving tools, e-mail clients and web rowsers, to audio/video ripping and burning software, Automatix could do them all. Unfortunately, a few months ago, Automatix died (it was actually sold to the Pioneer Linux). Today we are pleased to announce the Automatix replacement: Ultamatix! It is actually based on Automatix, therefore it looks and acts exactly the same. 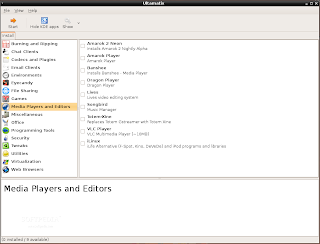 The good news is that Ultamatix is designed to work with Ubuntu Ultimate Editon 1.8, Ubuntu 8.04 (Hardy Heron) and the unstable branch of Debian Linux. How does Ultamatix work? Well, instead of searching all day long through thousands of applications in Synaptic, in order to make your newly installed Ubuntu system exactly how you dreamed of, you can use only one software to install them all, in one single easy step. For example, you need all the multimedia codecs and all the archiving tools available out there – what are you going to do? Are you gonna spend 1 or 2 hours (or even more) on the Internet, searching for different guides or in front of Synaptic, wondering what else you may need? With Ultamatix, you can install all the multimedia codecs, archiving tools and the Adobe Flash Player for Firefox, and it will all take you 5 minutes and 3 mouse clicks. Not convinced yet? 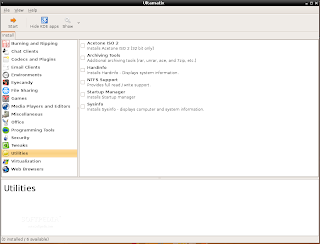 Ultamatix can also install all the multimedia codecs, archiving tools, Nautilus scripts, Adobe Flash 9, Sun Java 1.6 JRE, Wine, NTFS read/write support, Ubuntu Tweak, Acetone ISO 2, Frostwire, Startup Manager, Sysinfo, Firestarter, Clam Anti-virus, extra fonts and themes and the KDE, XFCE or Enlightenment environments. 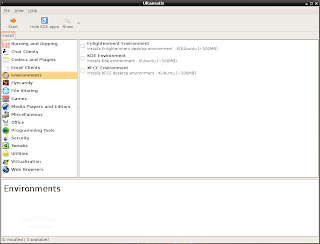 We've tested Ultamatix on the latest version of Ubuntu, 8.04.1 LTS. The installation process is the same for both i386 and AMD64 machines, and requires you to download the .deb file from Softpedia. When the download is over, double click the ultamatix-1.8.0-3_all.deb file, enter your password and install it. That's it! Now you can find Ultamatix under System Tools -> Ultamatix. Use it wisely! I'm Susan, of the TechnoSnack's team and I wish to inform you that we are opening a new blog aggregator about Computers & Internet news. The key feature is that news come directly from blogosphere. We wish to show a preview of posts, with a link "Read more..." to signed blogs. If users are interested in news, they are redirected to your blog and can read entire post directly from your blog! We think that in a little of time it can send more visitors to re gistered blogs, contributing to diffusion of know-how about Computer and Technology world. I visited your blog and I think it has very interesting and useful posts! So, are you interested in this idea, with your blog? If yes, then you can register your blog, using the specific "Registration Form"! The only thing we ask to you is to insert TechnoSNACK banner in your blog to promote this project. Or, if you prefer, you can insert a link in your blogroll. If you like (we whould be happy, but it is not mandatory :-), you can write a post regarding TechnoSNACK project in your blog, to promote this idea.